For the 100th anniversary of the martyric death of the Royal Family, Sretensky Monastery published the book of Archpriest Alexander Shargunov Tsar: A Book About the Holy Royal Passion-Bearers. Fr. Alexander regularly preaches about the holy Royal Passion-Bearers on the “Radonezh” Orthodox radio station, answers readers’ letters in the journal “Russian Home,” and is the compiler of several collections of miracles of the Royal Martyrs. This book is about the role of monarchy in Russia’s fate, about the path of confession of the last Russian emperor and the members of the august family, and about the miracles manifested by prayers to the Royal Martyrs. Dear Commission for the canonization of the Royal Family of Nicholas II! For a long time I have not dared to talk about what happened to me, Orthodox Christian Evgenia Nikolaevna Mikhalova, and my friend, Lyubov Florentevna Mironova, in October 1991. On October 15,1991, we went to the village of Krasnitsa, 15 miles from Pushkin (near St. Petersburg), to pick cranberries in the marshes. Having picked the berries, we began to leave the marsh even before dark, at 4:30, but we couldn’t get out, although we were not far from the way onto the path we needed. It gets dark quickly in October, and we lost our orientation—the marsh is huge, and there are many paths. Then we went towards the sound of a train and got completely lost. I started praying out loud, but the farther we went, the more it became impassable—bogs, fallen trees, and there were no roads back either. The darkness advanced at once; screaming was useless—there was no one around. I continued to pray and walk, feeling the depth of the water with a stick. Suddenly I remembered, like an epiphany, the incident described in the book Letters of the Royal Family From Captivity, about how the detachment of Cossacks was surrounded in the swamps, and together with them was a convoy with children and the elderly, including a priest. They started praying to the Royal Martyrs and were able to get out of the swamp onto their path. In despair, I began praying to Heaven with the words that formed in my heart: “O murdered, right-believing Tsar-Martyr Nicholas; O murdered Tsarina-Martyr Alexandra, O murdered martyrs Grand Duchesses Olga, Tatiana, Maria, Anastasia, O murdered martyr Tsarevich Alexei and all those murdered with them, for the sake of Jesus Christ, lead us out of this dark forest, out of this swampy marsh! O Royal Martyrs, save us, the servants of God Evgenia and Lyubov!” It was a prayer of hope and of despair, and in absolute darkness in the middle of a swamp—we felt land with our stick and started walking. Where to—we had no idea. I shouted out my prayer twice—and something in the dark lit up. It was a branch of a tree, without any bark, and another, and another. Grabbing for them, we walked along on a long tree, with no water beneath our feet. Reaching my hand forward, like a blind man, I walked and continued shouting my prayer to Heaven. Lyubov was walking behind me. With five prayers we came out into a wide clearing. The moon was shining, footprints were clear on the road, and we walked along this path for a long time and arrived at Susanino. Having wandered in the dark for six hours, we arrived home at midnight, not even believing we were alive. I ordered a panikhida for the Royal Martyrs, and since then, the Tsar-Martyr Nicholas II and his family are for me saints—our lifesavers. 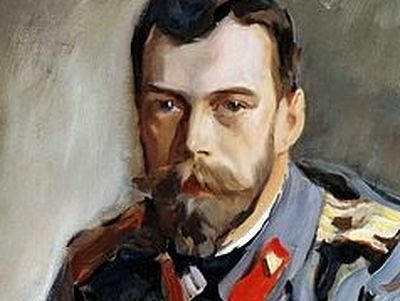 In gratitude, I anointed the eyes of the Tsar on the portrait with oil from the Holy Sepulchre, and from his eyes rolled a tear, to which my children and guests can testify. My son Fr. Evgeny and his Matushka Olga were waiting for me to come from the forest and were very worried. When I got home, I immediately told them everything and Lyubov Florentevna called her daughter Natalia, and everyone heard about the miracle of our being saved by prayers to the Tsar-Martyr Nicholas II and his family. Lyubov Florentevna was not a strong believer at that time, and her testimony about what happened may be more objective. I told Vladyka Basil (Rodzianko) about it when he was serving in the Theodore Sovereign’s Cathedral with my son. He advised me to write to the commission, but for some reason I decided not to. 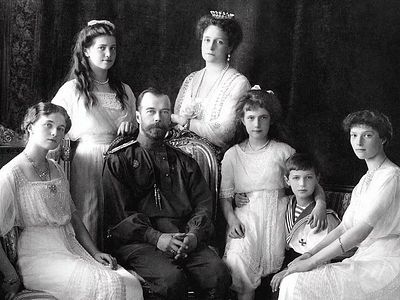 Maybe this occurrence I’ve told you about will be useful for examining the question of the canonization of the martyrs for the Russian land—Tsar Nicholas II, his family, and those martyred with them. For us, Orthodox Christians, they are an example in life, in patience, and in the podvig of martyrdom. He is a true Orthodox tsar, uniting us, and worthy of being a saint of the Russian land now for our salvation. In the mid-70s, Vladyka was the representative of the Moscow Patriarchate in Berlin. On one trip back home, he took with him in his baggage a fair number of Church books published abroad and dedicated to the communist persecutions against the Russian Church after the 1917 revolution. At that time, it could be qualified by the authorities as importing anti-soviet literature, with consequences under the relevant article of the criminal code. At the border, customs officers began (for the first in Vladyka’s several years of regular trips abroad) a detailed inspection of his luggage. Vladyka placed the books, banned in the USSR, in his luggage with his vestments, in a folded sakkos. If they had found the books, then in the best case it would have ended with him being sent into retirement. Vladyka began to pray fervently, especially earnestly turning to the Tsar-Martyr Nicholas II whom he had long venerated as a saint. The customs officials were slowly looking through the suitcases, taking out every item. They took out the sakkos with the heavy books hidden there. They reached the bottom of every suitcase, and again, not hurrying, began to put everything back. Vladya didn’t stop praying to the Tsar. The officers didn’t pay any more attention to the vestments with the books than to any of the other items in the hierarch’s baggage. A parishioner of the Joy of All Who Sorrow Church on Bolshaya Ordinka, Juliana Yakovlevna Telenkova, an eldress, a simple, illiterate woman, her whole life dedicated whole-heartedly to serving the Lord, told me not long before her death how she started venerating Tsar Nicholas Alexandrovich. She knew little about him and never thought about him or his fate. When she and her family found themselves in hopeless financial troubles that threatened the entire family, she saw the Tsar in military uniform who said, handing her a silver ruble with his image:, “Serve a panikhida for me, and everything will be fine.” And that’s what happened: After the prayers for the Tsar, sudden help came, and from then on she has always remembered him and prayed to him as to a second Nicholas the Wonderworker. “In November1981, we, three young parishioners of the Joy of All Who Sorrow Church on Bolshaya Ordinka, heard about the glorification of the New Martyrs and Confessors of Russia by the Synod of the Russian Orthodox Church Abroad. 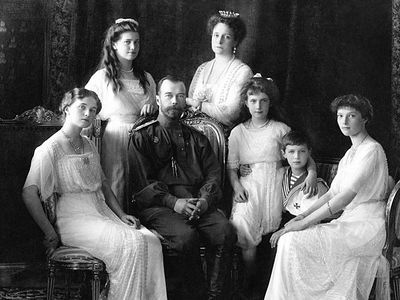 The last Russian Tsar and his entire family were included in the host of new saints. This fact evoked indignation and nigh-on protest in us. We started vying with one another to recall all the negative things we knew about the Tsar from soviet historical books and the few memoirs of his contemporaries available to us then. We took the canonization of the Tsar, and especially of the Tsarina as nothing other than a political act. Our conscience was extremely perturbed, and we turned to our spiritual father for clarification. 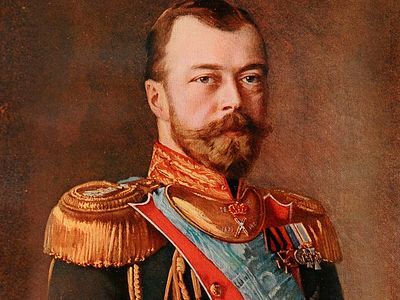 He, as it seemed, having long venerated the Royal Passion-Bearers, tried to reveal to us the genuine face of the Tsar and his family, cleared of slander and misunderstandings. But we laid out our counterarguments with vehemence and confident categoricalness, as is characteristic of young people, practically not even listening to Batushka. Batushka quickly fell silent, but then, seizing a pause in our stream of words, said with great significance and power, “They are saints.” And he got up, letting us know the conversation was over. I arrived home with a heavy heart: I had argued rudely with my spiritual father, the question about their canonization was still not cleared up, and the main thing—there was some nasty residue from the retelling of these so-called “objective” facts from the life of the Royal Family. I prayed before sleep that the Lord would calm my soul and resolve my sincere bewilderment. The next evening my believing friend offered me a book for a night, secretly brought to her from the special collections of the Lenin Library. I was just about petrified seeing its title: The Personal Correspondence of Nicholas II and His Family, 1914-1917. I read this book in one breath, like I once read the book of St. John of Kronstadt My Life in Christ, or the writings of the Athonite Elder Silouan (by the way, they also weren’t canonized as saints of our Church then). These books had one and the same spirit, one and the same lightness and sorrow in Christ, one and the same soul-warming feeling of touching the high podvig of the life of the saints. No traces of my heartfelt burden and doubts remained. I had complete clarity and firm assurance in finding those closest of people—saints. The same thing soon happened with my friends. The event I want to talk about is nothing special in and of itself, but its consequences for our family were unexpected and considerable. On the eve of the commemoration of the murder of the Royal Family (July 17), my nephew was preparing for a mathematics exam (algebra and geometry) and became completely despondent—he couldn’t prepare enough for an A, but with any other grade he couldn’t enter the competition at the technical school. I persuaded him to rely on the will of God and the intercession of the Tsar-Martyr and to go to the test with the words “Lord, have mercy.” I myself asked the Lord at Liturgy, if it be His holy will, to help my nephew by the holy prayers of the Tsar-Martyr. With tears, I entreated the Tsar and all the members of his family to beseech the Lord to have mercy upon us, sinners. The thing is that my mother and I were really hoping that if he entered the technical school, my nephew would have less time to hang out on the street and get into obscene and malicious acts with friends. My grandfather Theodore Pavlovich served in the royal court—in which rank I don’t know—but for his faithful service he received a written certificate from the Tsar that his sons could study in any higher educational institution, apparently at state expense, and namely in a military institution, because my grandfather was a military man and not rich. I knew this from early childhood from my father Alexander Feodorovich, now reposed (he died in 1989). He greatly suffered because neither he nor his brother received any kind of systematic education, and he was greatly embarrassed when filling out forms, because he held prominent positions and should have put something in the “education” field. He once tried to explain that he studied in school for two winters, but he was ridiculed and told to write, “Incomplete higher education.” In fact, he and his brother received a home education, which was enough for them and for me for our whole lives. Therefore, my father was very happy when I brought home the first diploma from Moscow State University. Then my brother graduated from MSU and became a doctor of science, and then my son studied too. We considered it our merit, our accomplishments: From the provinces to MSU. My tears instantly dried up, I rejoiced, and got up from my knees, and wanted to smile, although it was uncomfortable to do so at a panikhida. Only I know the miracles by which I started studying at the university (which before the revolution was imperial), having come to Moscow with my father from a small town with a factory in the remote steppe. There was another time where I had help from the Tsar and his wife Tsarina Alexandra Feodorovna. It was an event with a purely personal meaning. There was a photo of the Tsar in uniform hung in a frame under glass on the wall in my room. At my request, a hieromonk I knew anointed it with oil from the Holy Sepulchre that I had brought from Jerusalem. On January 29, 1995, at 9:00 PM, the Tsar’s portrait began to stream myrrh. I immediately asked my spiritual father about it and he replied, “Rejoice” (and I was a little afraid at first). I would like to tell you about real help from the New Martyr Nicholas II, manifested to a teenage boy who had been sick for a long time. I, his mother, always commemorate Tsar Nicholas both in church and at home. My mother told me about him and told me to always commemorate the Tsar. My son suffered from Bechterew’s disease from childhood, and my heart suffered for him. Then one day I had a dream. Tsar Nicholas II was sitting on a stool facing me. I recognized him from the picture we had and the feeling from his spirit. I saw him and rejoiced and said, “Tsar Nicholas, I commemorate you.” He was silent and didn’t look at me, but I saw that he did not have a harsh face. I came closer behind his right shoulder and said, “Tsar Nicholas, will my Valery recover?” He was silent. I got even closer and again asked, “Will my Valery recover?” “He will recover,” he tenderly answered, and the dream ended. Day and night, I didn’t let the Psalter out of my hands at his bedside. Then one day, everything suddenly disappeared. He raised himself up and began to speak normally. The doctor was amazed: It was a miracle! It ended with them having the hospital blessed. Before I entered the monastery, I remember I took my parents a portrait of Emperor Nicholas II and his wife the Empress Alexandra Feodorovna. My father, an unbeliever as he called himself, was not stingy with his remarks, but at the same time, having animosity towards the communists, he expressed regret about the fate of the Royal Martyrs. 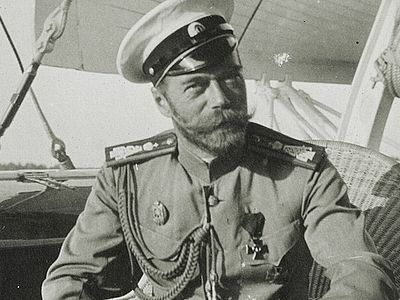 The nervousness of the home atmosphere with various comments about the Tsar was intensified by my parents’ critical situation, or rather—my father’s: They were threatening him with jail, because, in his simplicity and ignorance, he fell in with a crowd of swindlers. A criminal case was already underway, there had already been interrogations, and a court date had been set. Then my father had a dream one night: The Tsar was standing there in the uniform of an officer in the Tsar’s army, with epaulettes, tall, blue-eyed, all radiant, standing half-turned to my father, and someone in black said to my father, “Bow to him and he will help you!” and he bowed. Also, the Tsar’s family was there with him. 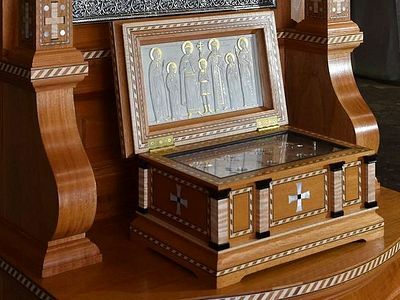 After that, my father and mother went to a small village church in honor of the Archangel Michael and all the Heavenly Bodiless Powers and ordered a panikhida for Tsar Nicholas and his family. Three or four days later there was an upheaval in Moscow, with the famous shelling of the White House. Then a revolution immediately happened in the province, and they also replaced the regional administration head, who hated my father and wanted to accuse him and send him to prison in any way possible. The change of officials gave hope for a lenient attitude towards my father. His trial soon happened. My father was given a year of probation, and then amnesty, and his conviction was removed, and his was the only one removed out of the six defendants. After this incident, my father’s attitude towards to the Tsar changed and he even became reverential. Having once felt his real help, hitherto decrying all that is holy, he stumbled upon another problem, and he ran to him from whom he’d already received this help—to Tsar Nicholas II and all the Royal Martyrs. My father, a farmer, found himself in a situation where there was nothing to sow. There were no seeds to sow, and it all threatened not just to go without money, but also to surrender all of his property to settle his debts. He and my mother again ordered a panikhida for the murdered Tsar Nicholas II. Immediately after that, the abbot of a nearby monastery went to their house and told my father that he had a friend who wanted to give him seeds. The whole land, 150 hectares, was sown. As we already said, in the testimonies of the miracles of the holy Passion-Bearer Tsar Nicholas manifested in recent times, there are characteristic features that connect his image with St. Nicholas the Wonderworker. He hurries to help those who are in trouble or in danger, who have lost their way. He is especially compassionate to simple people whom he so loved and with whom he easily found a common language during his life. He often appears to people who never sought his intercession—those who as if represent the whole of our deceived people, for whom he laid down his life and who betrayed him by their rejection or indifference. The Tsar emphatically asks us to pray for him and to him, because receiving a prophet in the name of a prophet, we will receive the reward of a prophet, as says the Lord. We here present rare photographs of the tsar from 1907 to 1915 from six family albums that were taken abroad by the empress’ lady-in-waiting Anna Vyrubova.